HEY! LOOK WHAT’S TURNED UP! Taking a reprieve from the heavy stuff happening across the Middle East – let’s look at what’s turned up lately. Periodically, I like to catch my readers up on what archaeological finds have discovered. Israel in particular is a goldmine of ancient artifacts. Here’s the latest finds. 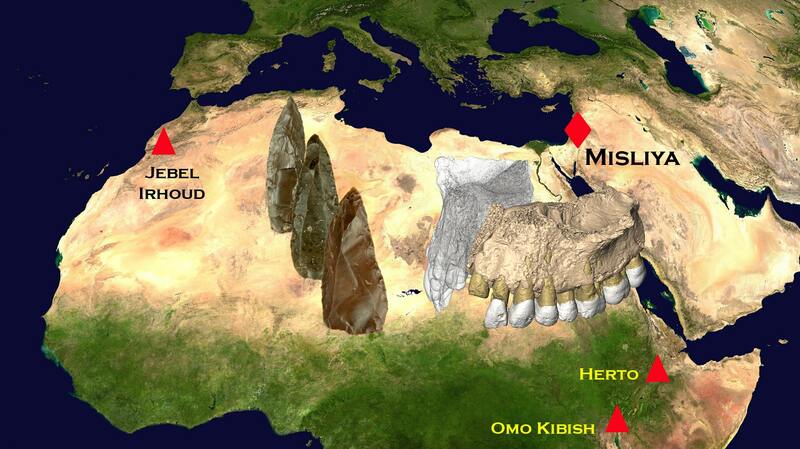 Israeli scientists just uncovered the earliest modern human fossil ever discovered outside of Africa. In Mount Carmel’s Misliya Cave an upper jaw bone has been dated back to somewhere between 177,000 to 194,000 years ago. Prof. Israel Hershikovitz of Tel Aviv University said this find radically changes the entire narrative of the evolution of Homo Sapiens, pushing back the dating 100,000 to 200,000 years. The finds also suggests these inhabitants of the Misliya Cave were relatively sophisticated. The anatomical details fit the modern human race. Another important and different find dates back to the era of the First Temple. A rare, well-preserved clay stamp was marked “governor of the city.” The Israel Antiquities Authority found the relic during excavations of the Western Wall Plaza. “Governors of Jerusalem” are mentioned in II Kings and II Chronicles. The find demonstrates that Jerusalem was a strong city and one of the most ancient capitals of the world 2,700 years ago. Probably this stamp or seal was once attached to important documents and indicated the Temple Mount was then inhabited by highly important officials. On the seal two men face each other. Each figure is wearing a striped, knee-length garment. At the bottom it denotes, “belonging to the governor of the city.” Not bad! Huh? Another excavation in a 1,100-year-old refuse pit in Jerusalem has revealed new insights into the dietary habits of the Israelites. The oldest eggplant seeds ever unearthed were found there. Located near the Second Temple period pilgrimage road, the seeds had undergone change that left the outer form of the seed unchanged while preserving the seeds from decomposition. Additional ancient websites revealed the ancient Jews strictly observed Kashrut dietary laws and primarily consumed mutton and goat meat. No pork bones or shellfish were found. Yes indeed, more confirmation again and again! When will the skeptics finally concede?